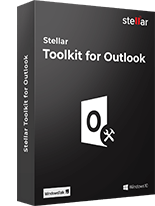 Stellar Viewer for Outlook is a free tool that scans corrupt Outlook PST files and enables you to view all mailbox items (emails, contacts, journals, calendars, tasks). By using this free software, you can even access emails from severely damaged Outlook PST file, and save individual emails. Open and view Emails, Contacts, Calendars, Tasks, Journal, Notes, etc. With the Stellar Viewer for Outlook, you can scan any Outlook PST data file to view its mails and other mail items, including the calendars, contacts, notes, tasks, and journal entries etc. Irrespective of the nature and intensity of damage, you can try this free tool to scan the PST file and view your mails. There are two options to select or search the Outlook PST file. Use the 'Select PST File' feature to fetch the corrupt PST file from a known location. In case the location is unknown, use the 'Find PST File' feature to search for all the corrupt PSTs in the selected drive. The software scans the corrupt PST file and lists all the mails and mail items, such as contacts, calendar, tasks, notes, and journals in the software in the software interface itself. You can view the mails with all the details in the fields, such as the 'subject line', 'From', 'To', 'CC', and 'BCC'. Stellar Viewer for Outlook retails the same way of representing the data as it is done in MS Outlook. The software works smoothly to view, open or read the content of corrupt Outlook archive PST emails. Even, you can scan corrupt outlook archive PST file without any file size limitation. This software also helps to get back access to lost emails from corrupt Outlook archive PST file efficiently. 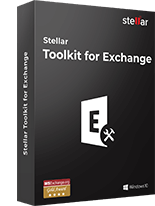 Stellar Viewer for Outlook is completely free tool, but you can only view, read or open corrupt PST file. If you have a requirement to save corrupt PST file into new and working Outlook PST file, then register PST Repair Software. 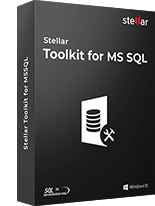 It is compatible with all versions of MS Outlook including latest Outlook 2016 and Windows 10 OS. The usefulness of the free PST viewer is that you can save any individual mail as EML, MSG, HTML, RTF, or PDF format, after it is scanned. To do so, simply, right-click the mail, choose the format in which you want to save the mail, and then save it at a suitable location in your PC. This free tool i.e. Stellar PST viewer is providing a user-friendly GUI to ease the process of scanning & verification for non-technical customers. Is it completely free software? 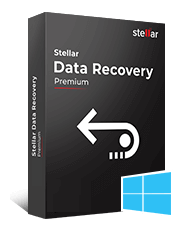 Yes, Stellar Viewer for Outlook is available free of cost for all customers. Even, it does not include any hidden charges for commercial purpose. Can I save emails into new working PST file? Stellar PST viewer provides to save individual emails as EML, RTF, HTML, MSG, and PDF. 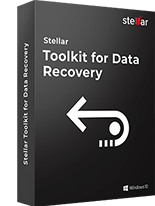 To save corrupt emails into new PST file, you need to register Stellar Repair for OutlookSoftware. I want to access emails of corrupt archived emails in Outlook. Is it feasible? Yes, you can use this free software to read and open emails of damaged archive PST file.